Ski rental holidays Auvergne : compare ! The Auvergne region gives beginner alpine skiers the opportunity to explore magnificent snowy landscapes. 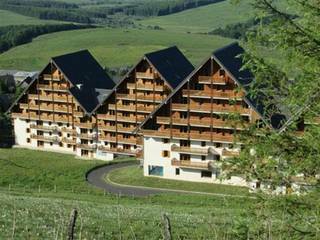 Going on a ski holiday in Auvergne will allow you to enjoy beautiful family moments, in resorts dedicated to your needs. 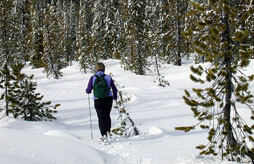 The ski resorts in Auvergne offer various leisure activities, such as Spas, une an authentic natural environment. Have the perfect holiday in the Massif Central. For your winter holidays, trust Ski Express to help you find the most affordable rentals in Auvergne. Our partners, leading ski rental agencies, offer a range of deals, taking the weight of budgeting or worrying about comfort off your shoulders. With Ski Express, you’ll be able to find amazing value for money on your ski rental. Let yourself relax while making the most of the 5 ski areas available in the region, on the slopes of the volcanoes of Auvergne. Take advantage of the leisure activities that will be at your disposal during your stay in Auvergne: Alpine skiing, backcountry skiing, snowshoe hiking or dog sledding by large lakes or amongst the forest! During the reservation of your ski holiday rental, you’ll be able to choose between a multitude of destinations. In particular, you’ll be able to explore ski resorts like Super Besse and Lioran, or resorts better suited to backcountry skiing and snowshoeing. The massif central expands along the borders of different departments, and you can find more ideas for holidays in places like Cantal, Puy de Dôme or Haute-Loire. Come and relax with your family in a natural environment. To this end, compare the offers and find your trip with Ski Express.